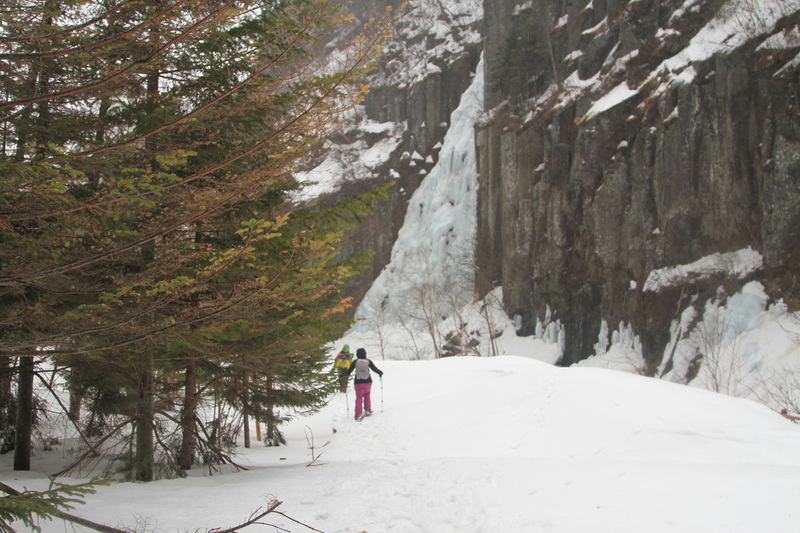 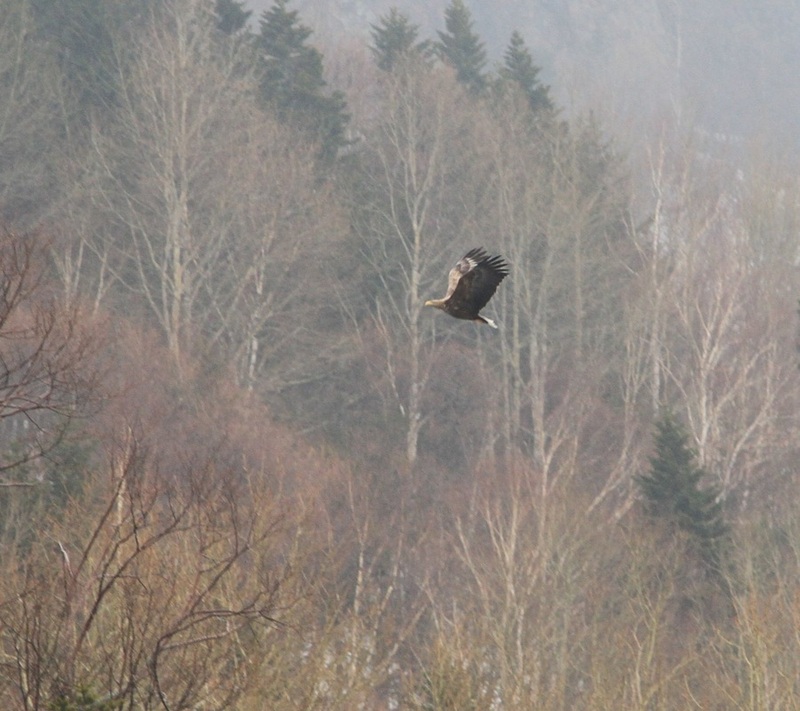 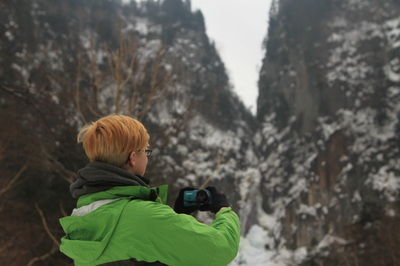 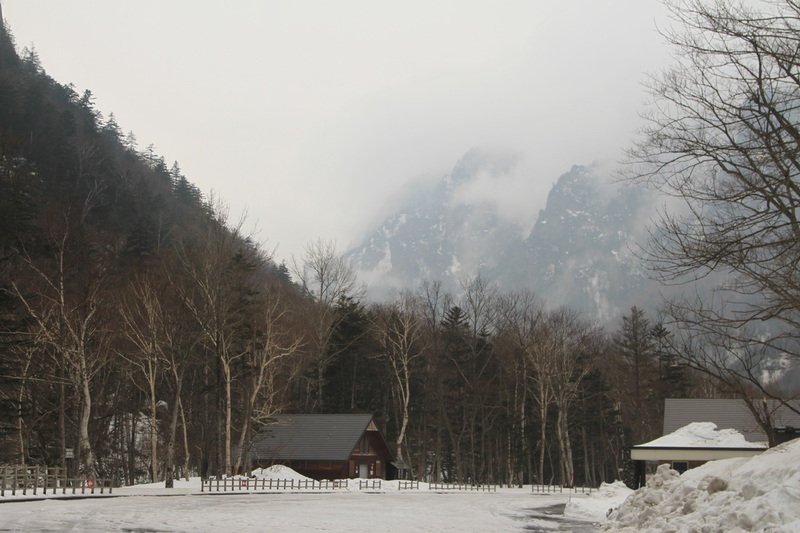 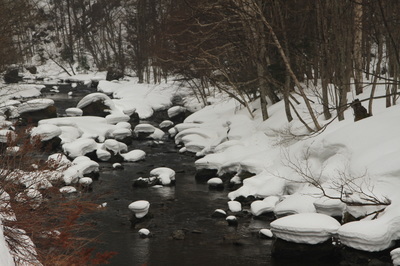 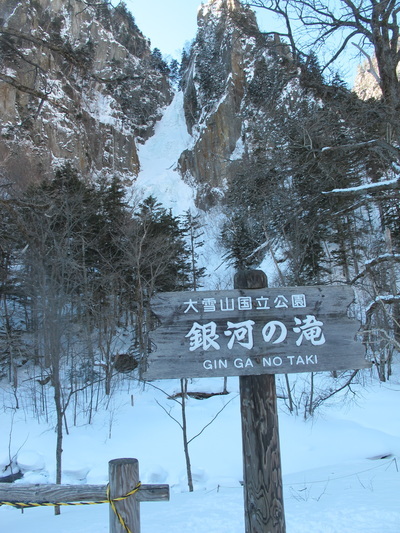 ​​We enjoyed a spectacular two day trip to Sounkyo Gorge, in the northern part of Daisetsuzan National Park. 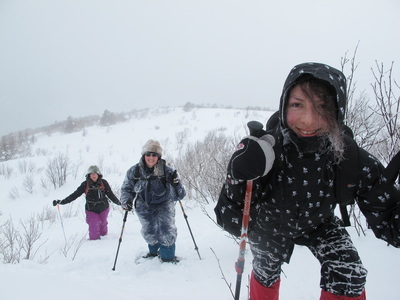 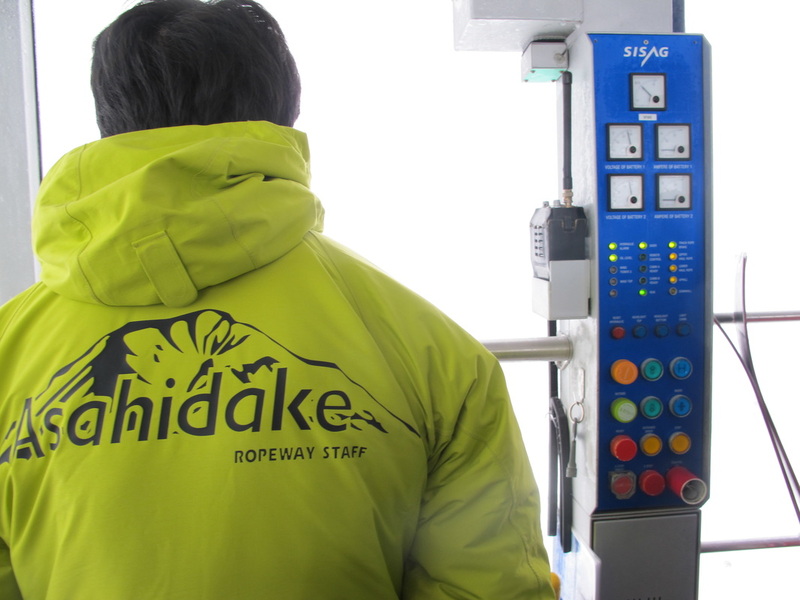 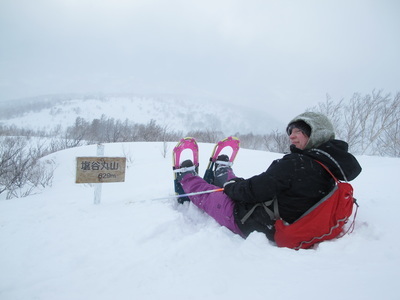 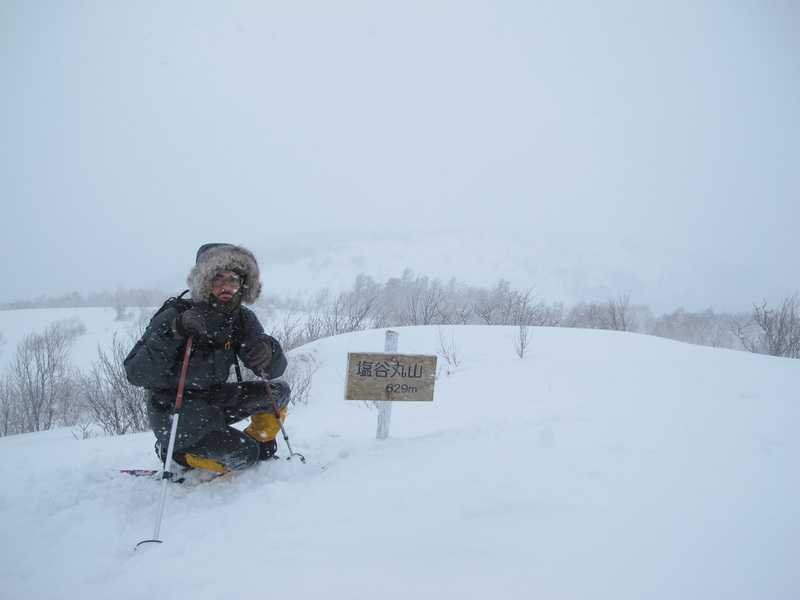 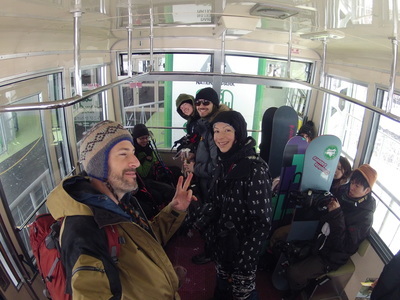 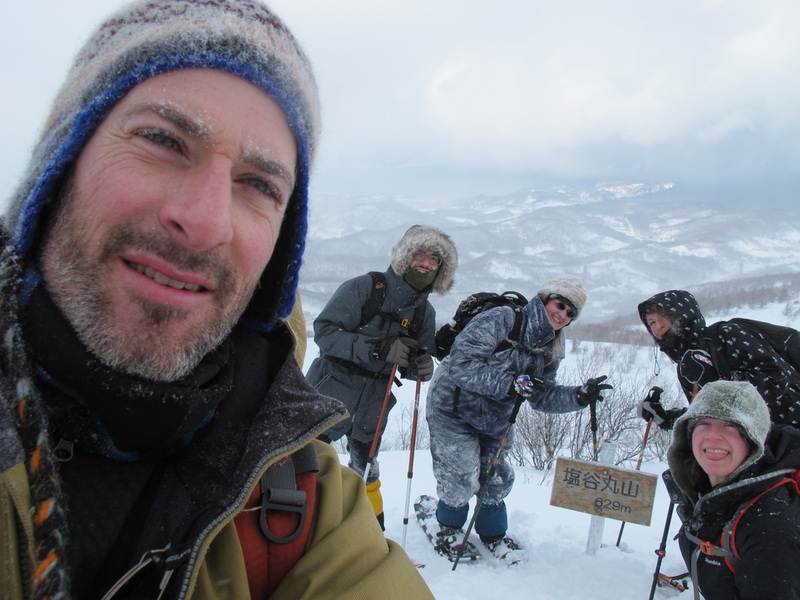 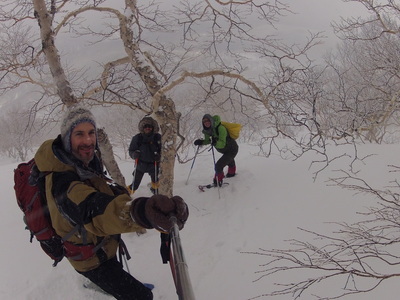 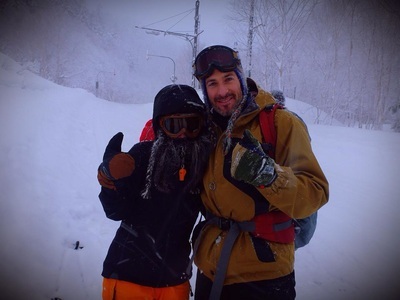 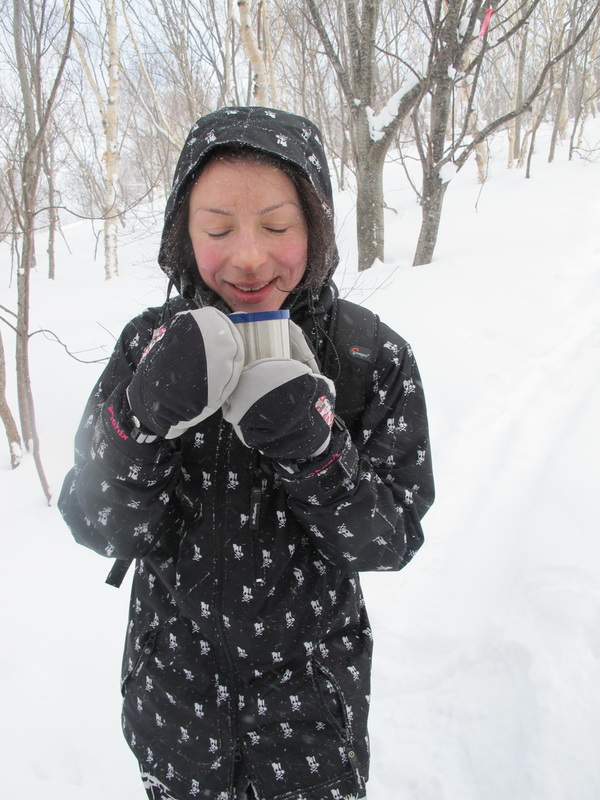 During the trip we went snowshoeing at two locations, went to hot springs on both days, rode up the Kurodake ropeway, and even made an assault on the peak at over 1,900 meters. 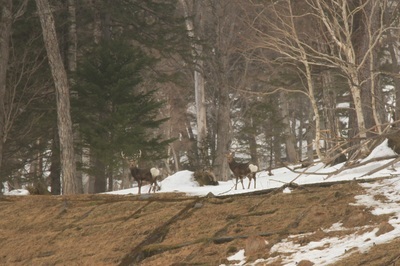 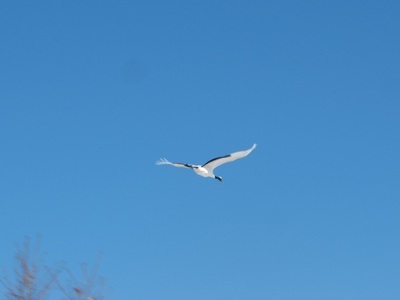 It was an excellent trip, full of wildlife, great people and beautiful places. 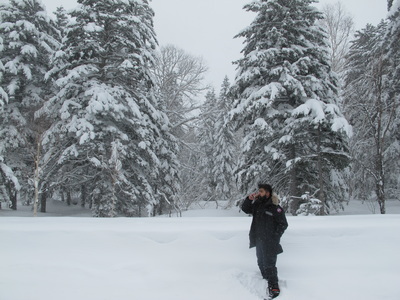 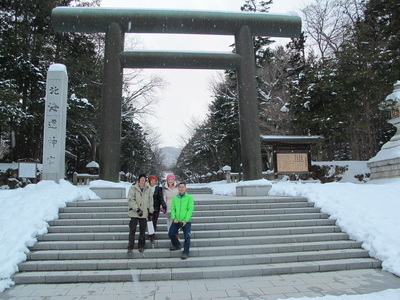 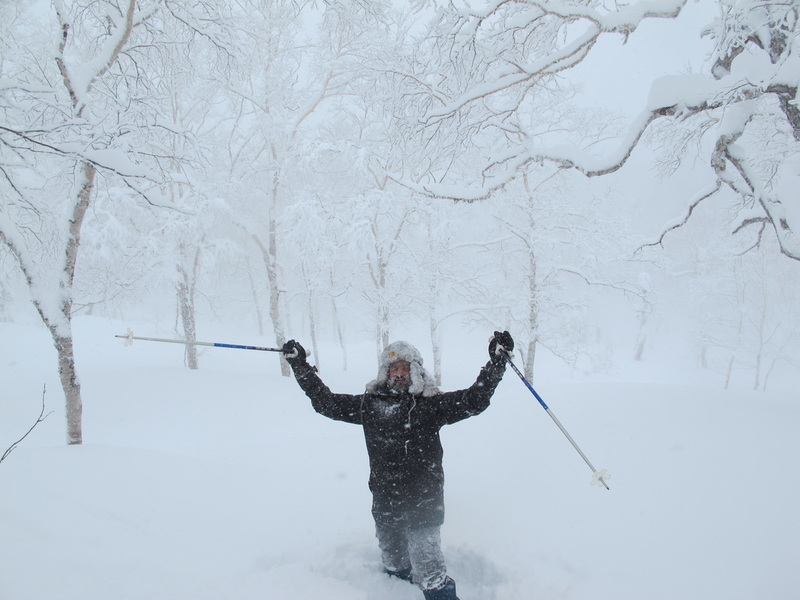 ​​We were extremely happy to show our friend the power of Hokkaido's winter at the biggest national park in Japan, Daisetsuzan National Park. 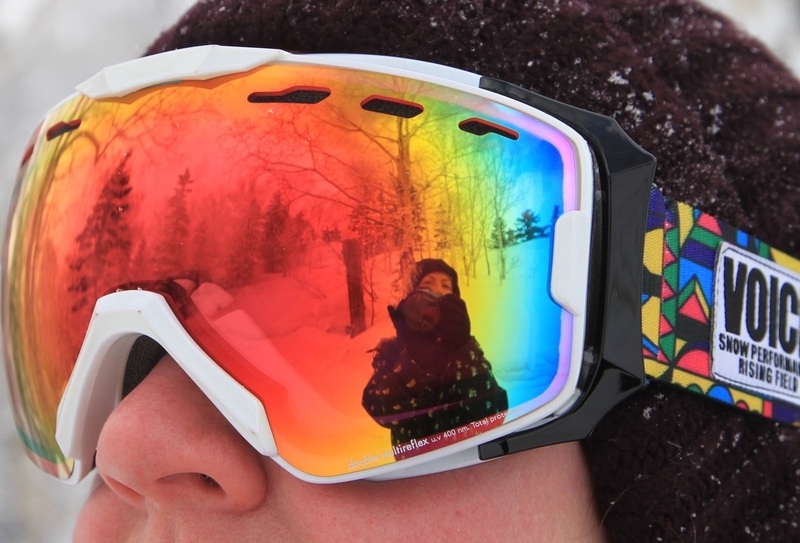 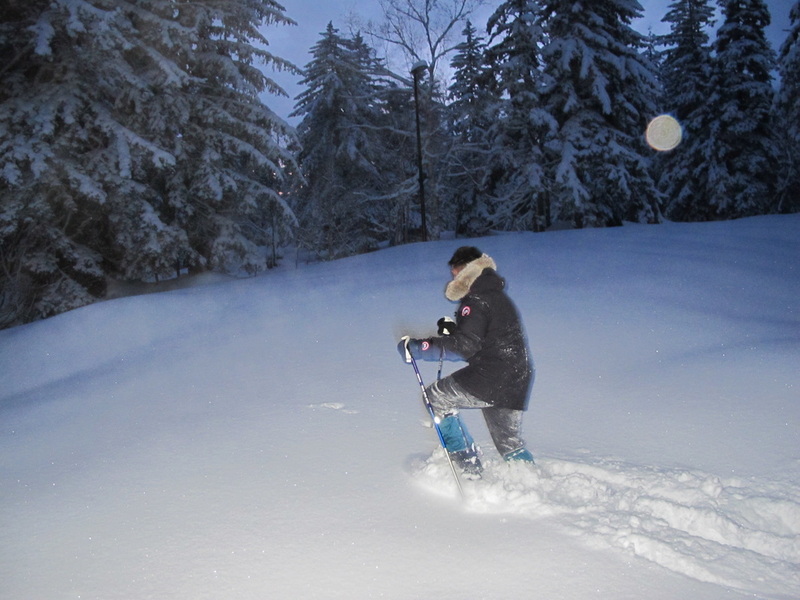 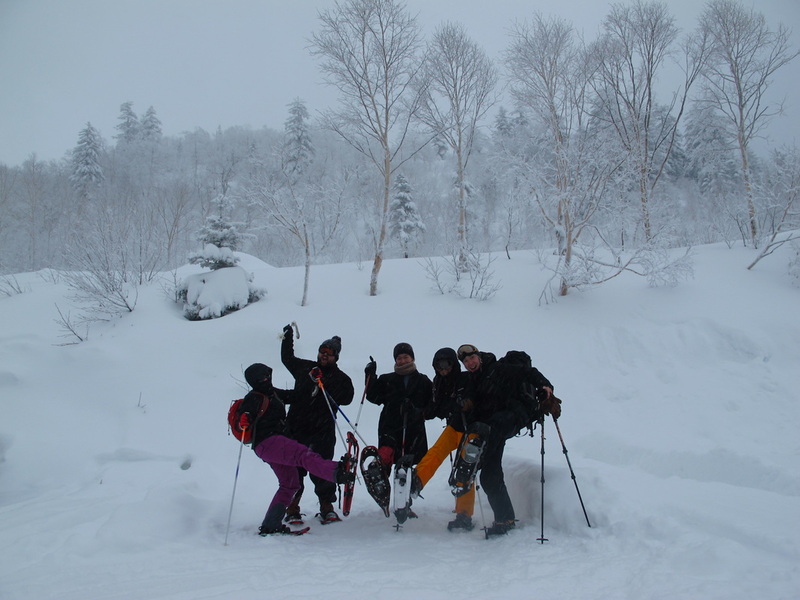 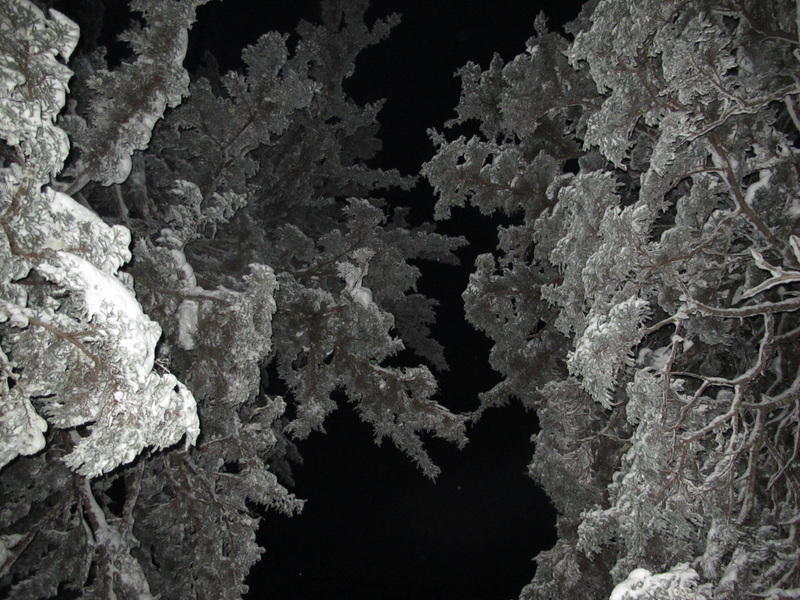 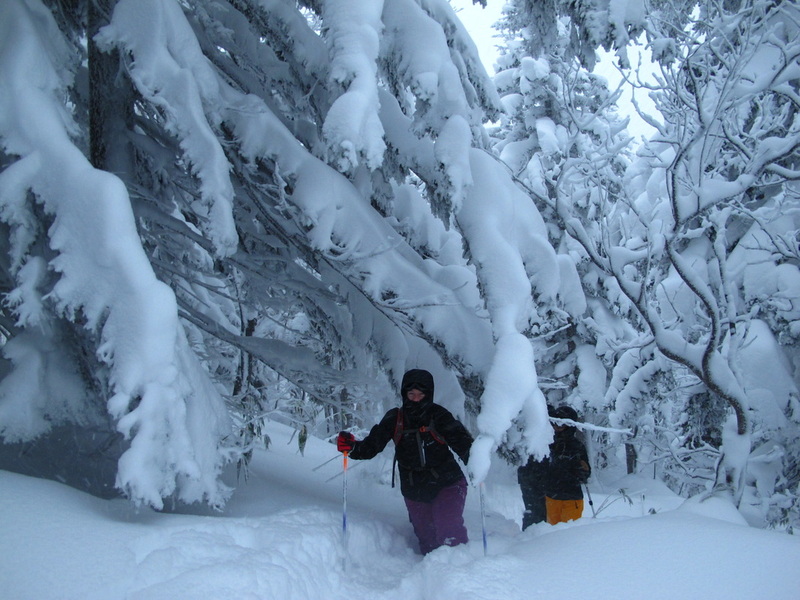 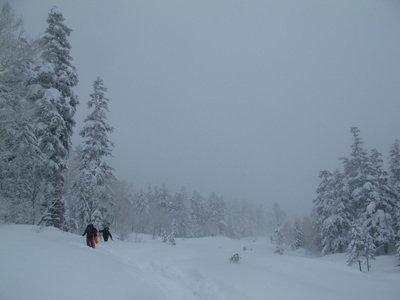 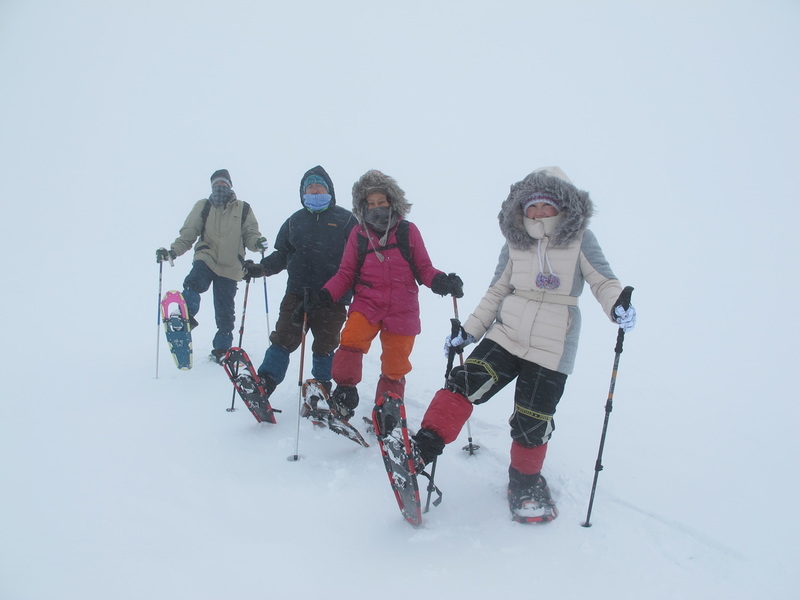 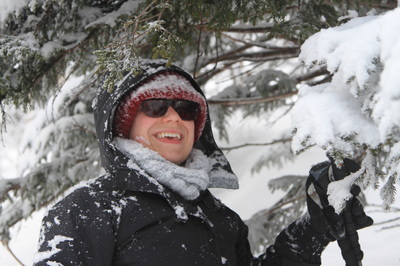 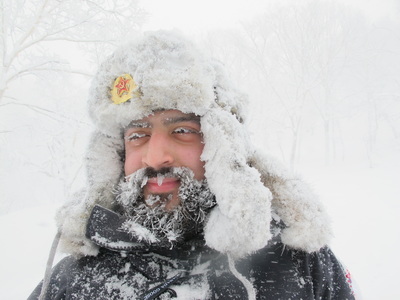 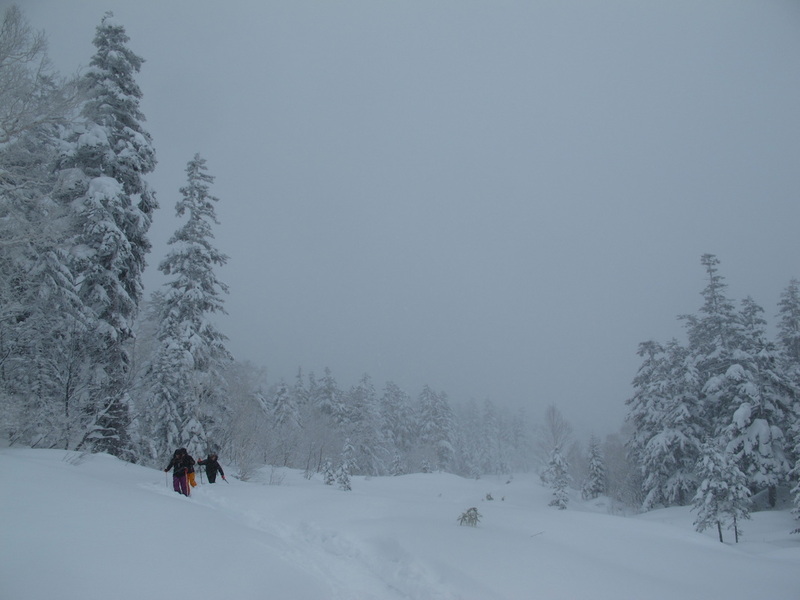 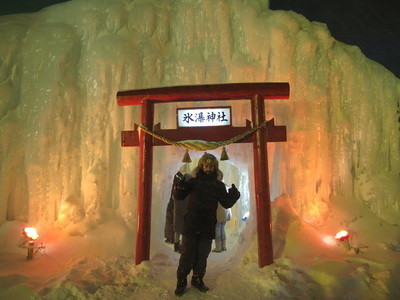 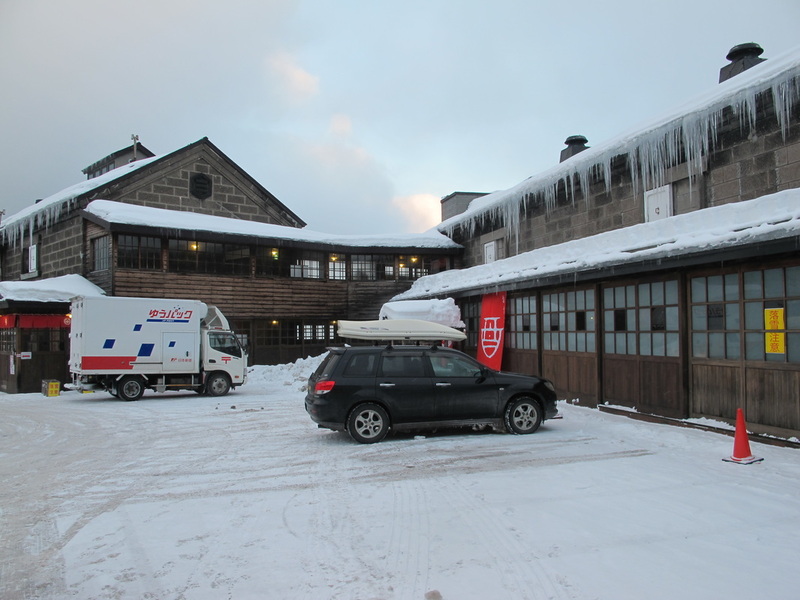 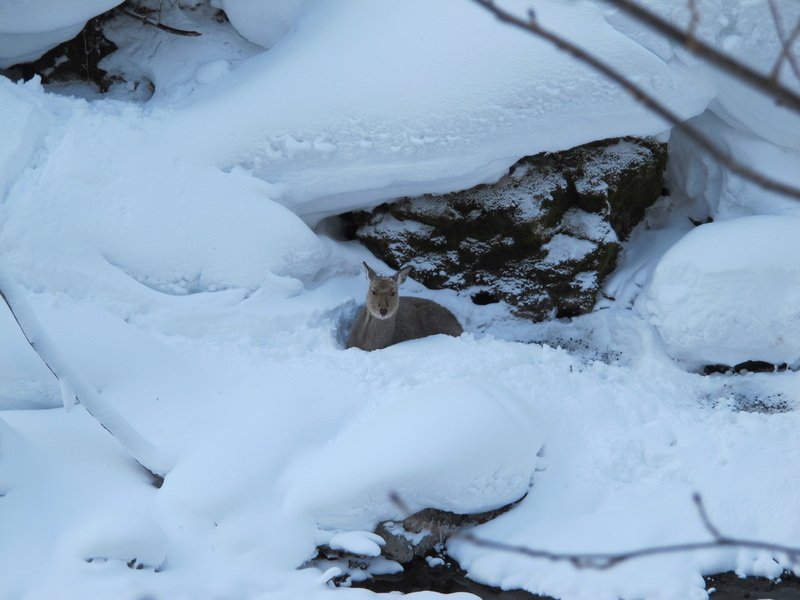 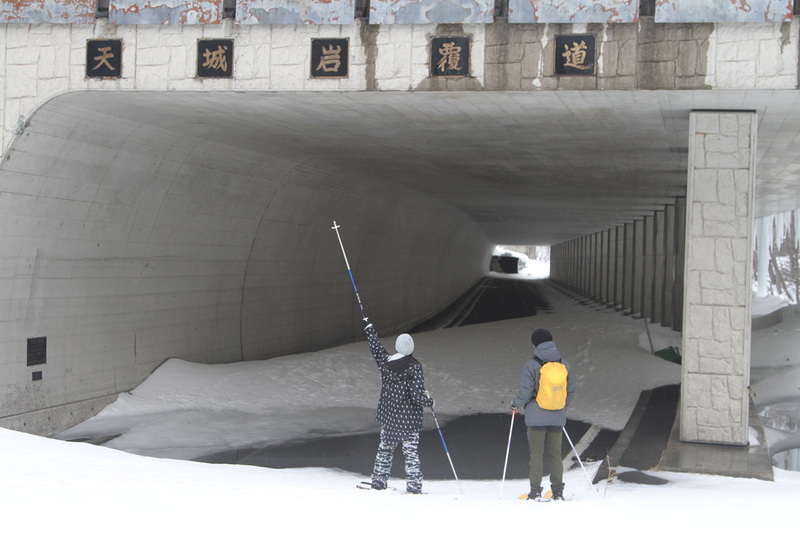 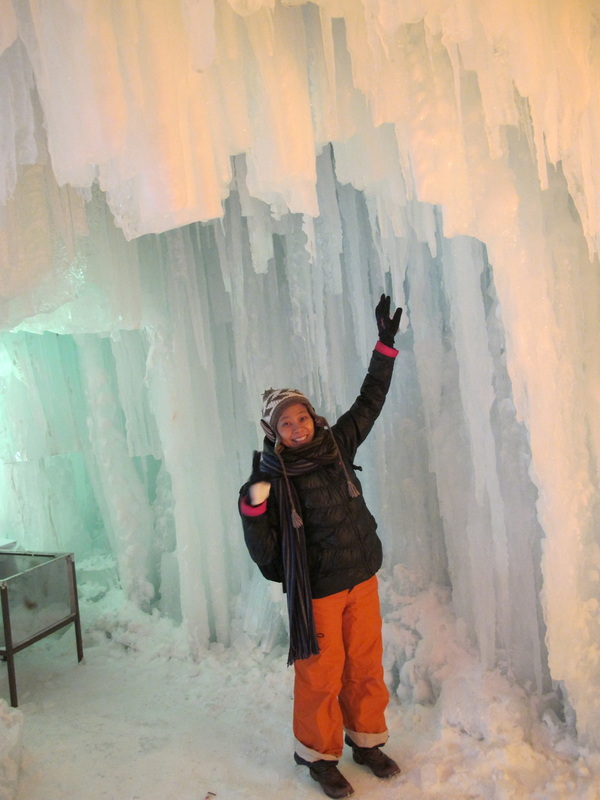 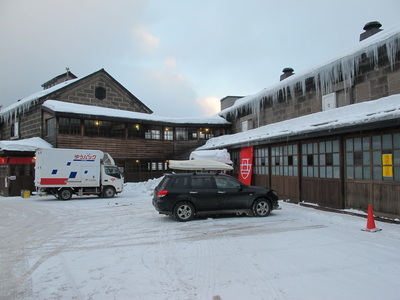 We had near constant snowfall, went snowshoeing to frozen waterfalls, experienced ropeway blizzards, night snowshoeing, hot springs, winter gourmet, a winter festival and more. 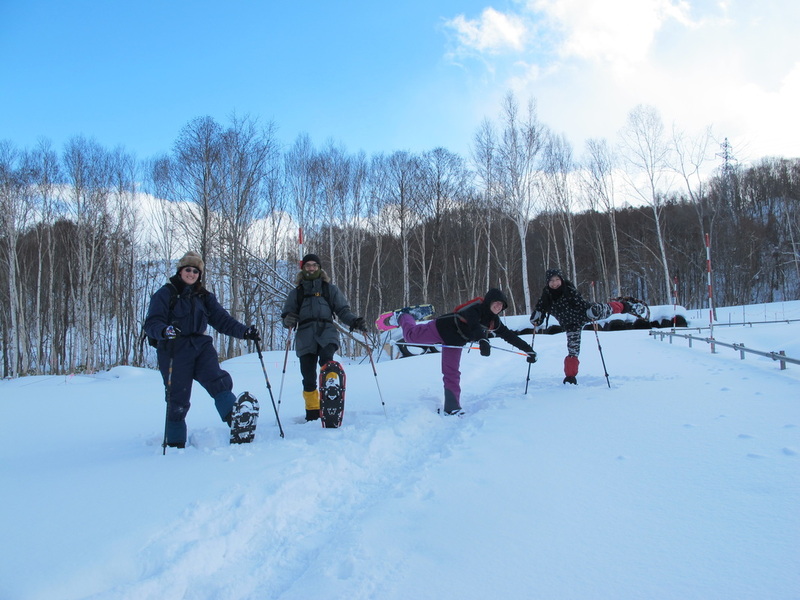 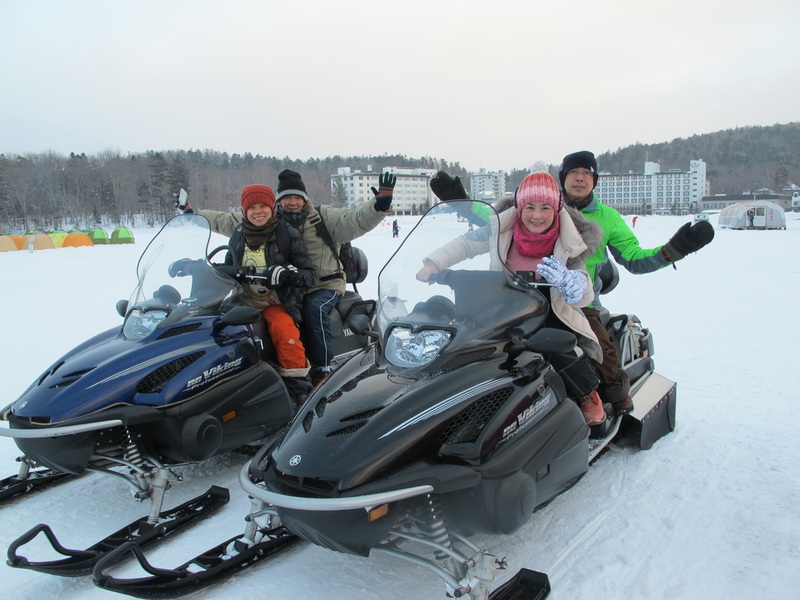 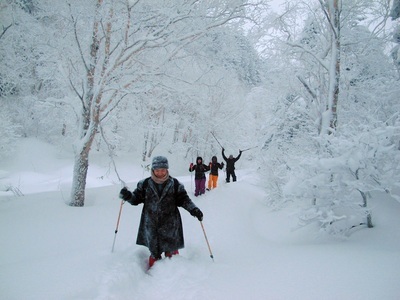 ​​Come join us on the spectacular Hokkaido Winter Wonderland trip to experience the snow as never before: Japanese culture, snowshoeing, frozen waterfalls, drift ice, wildlife, snowmobiling, winter festivals and much, much more. 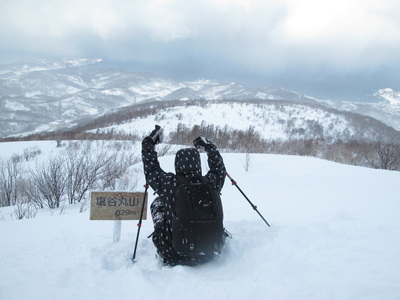 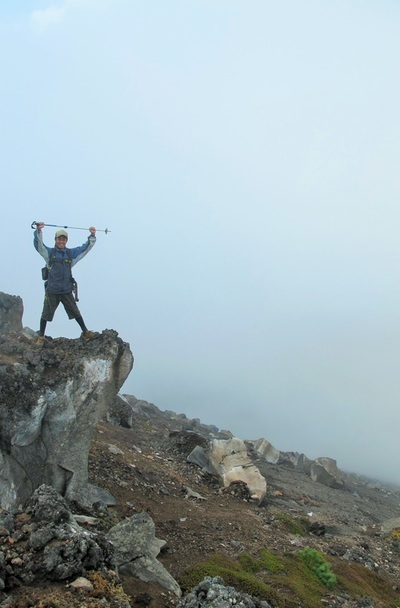 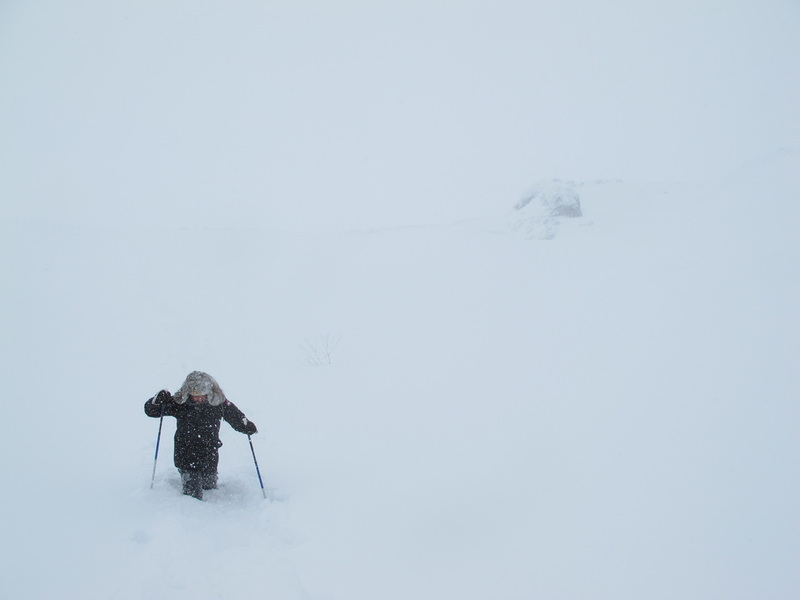 ​​Be a hero: Reach the summit of a winter mountain! 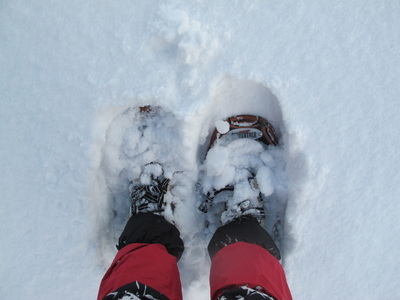 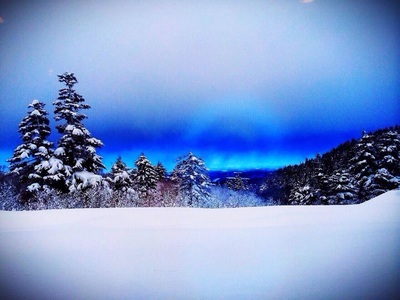 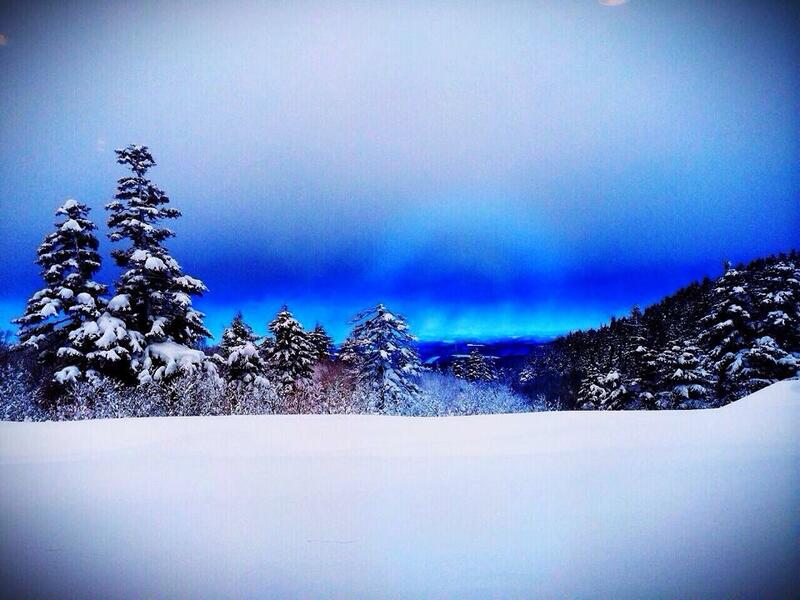 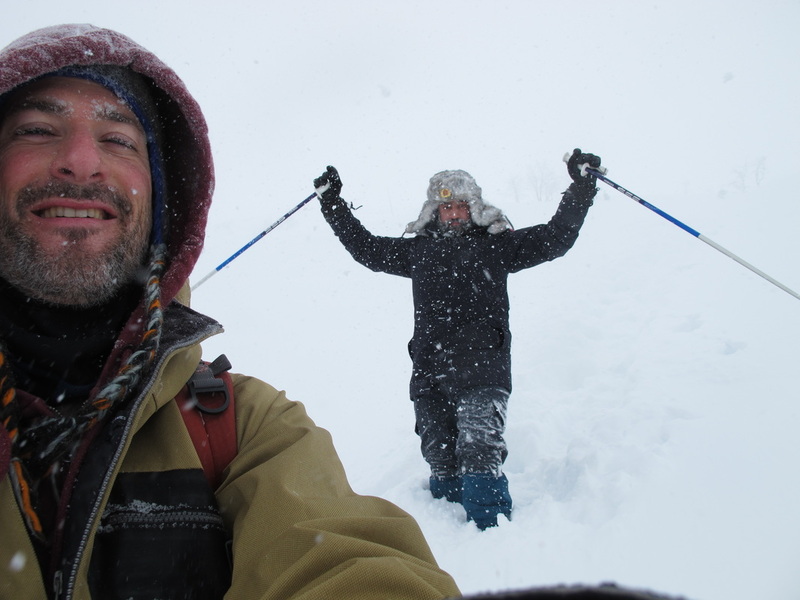 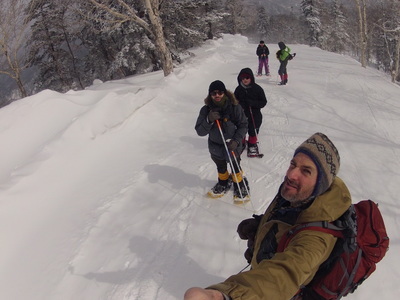 The excellent day trip included snowshoeing up Mt. Shioya Maruyama, a small but picturesque mountain on the outskirts of Otaru with a beautiful view of the Sea of Japan. 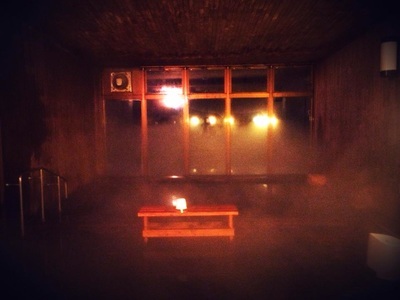 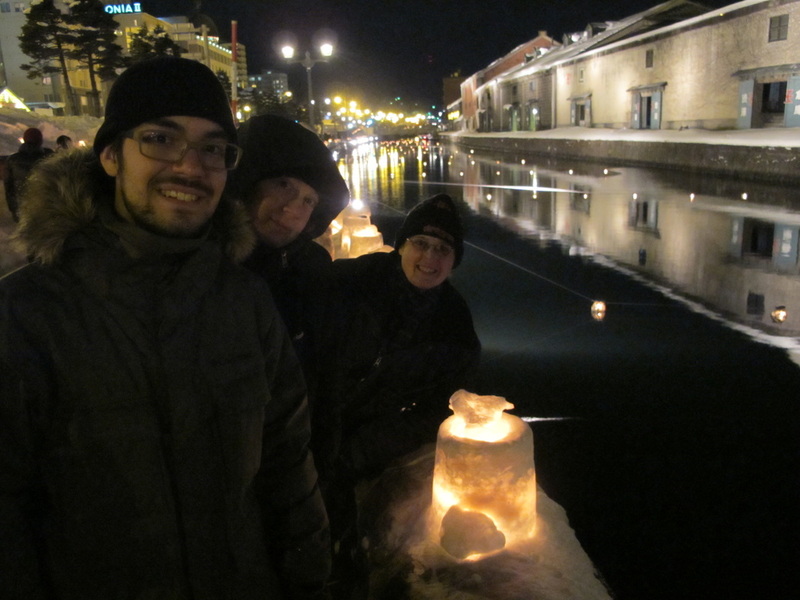 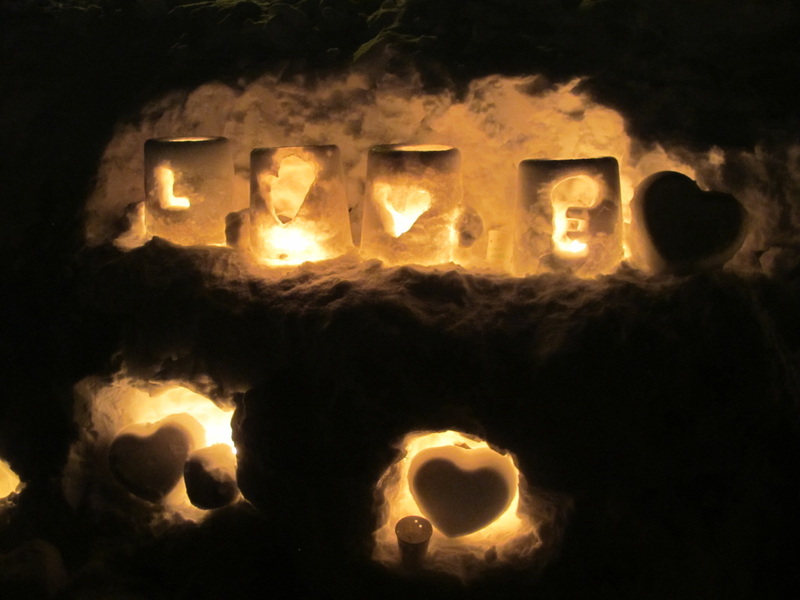 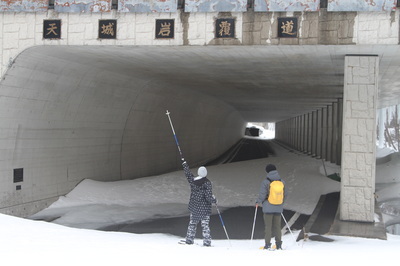 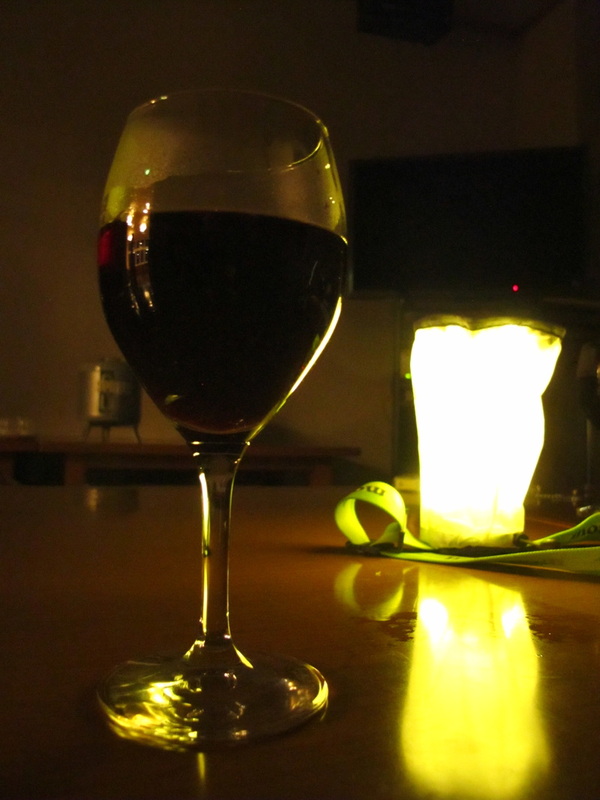 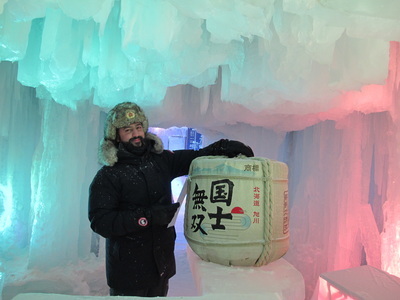 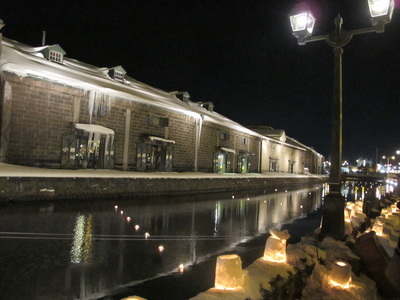 We also visited the Tanaka Sake Brewery, went to an onsen and enjoyed Otaru's atmospheric Snow Festival by the canal. 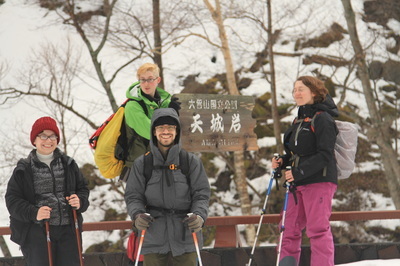 A great trip indeed! 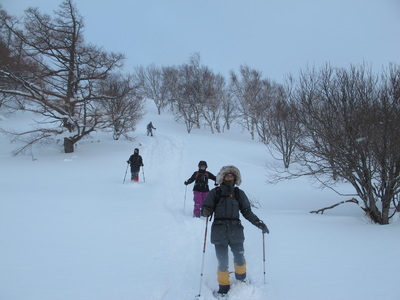 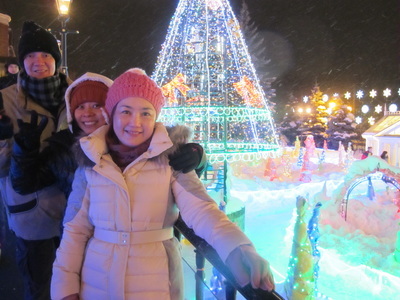 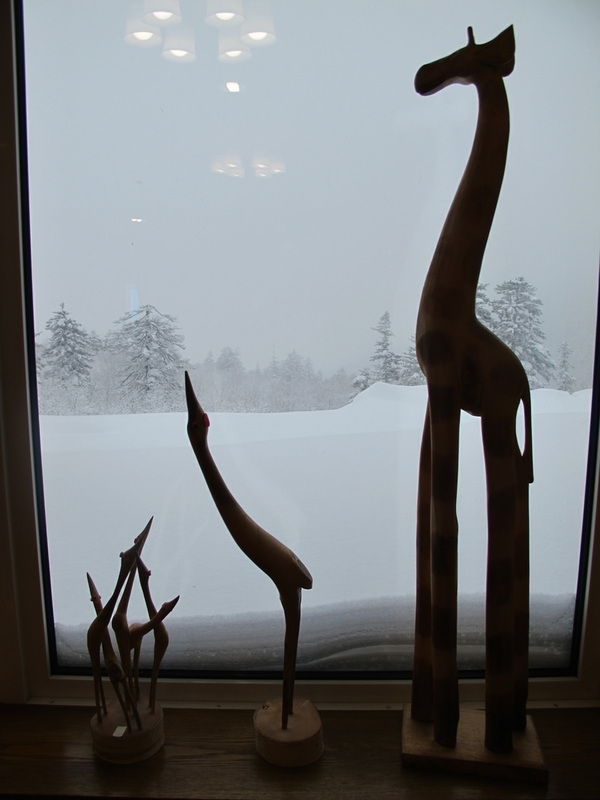 ​​We made Christmas 2015 unforgettable on a magical 2-day trip into the great snowy wilderness of Daisetsuzan National Park. 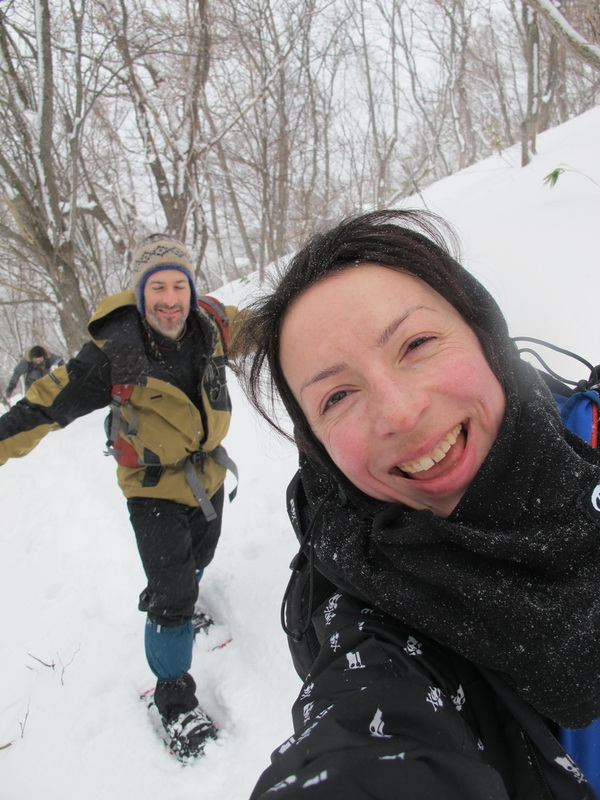 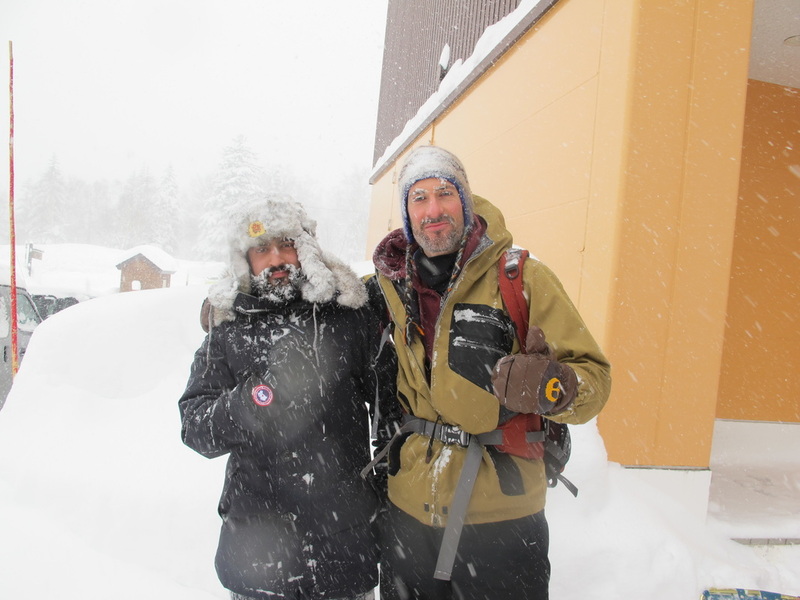 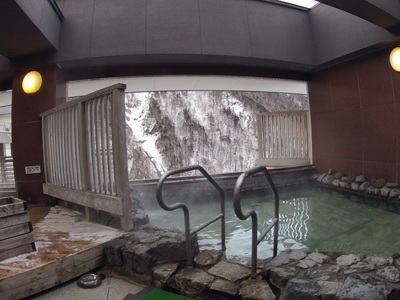 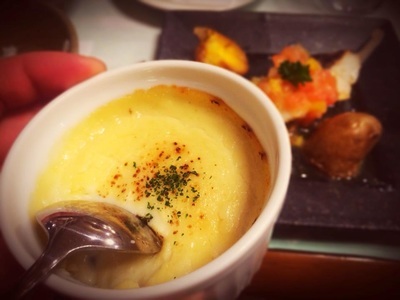 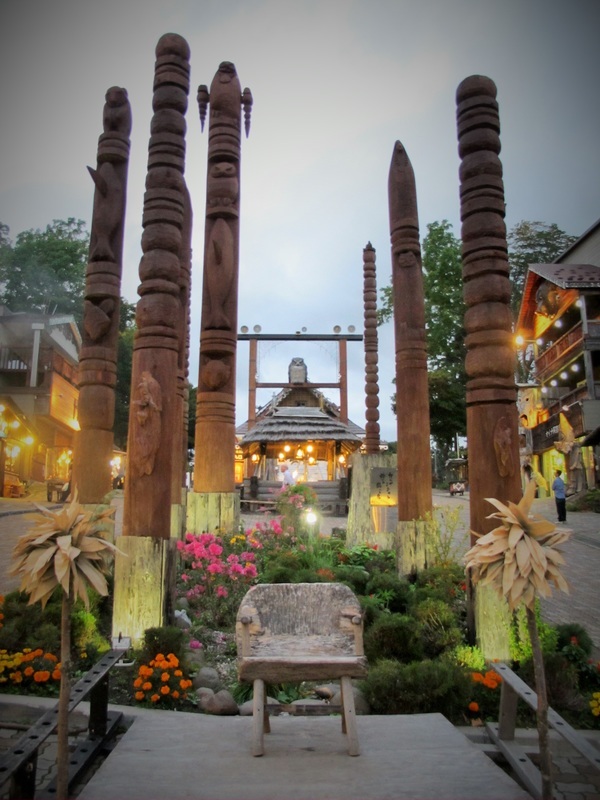 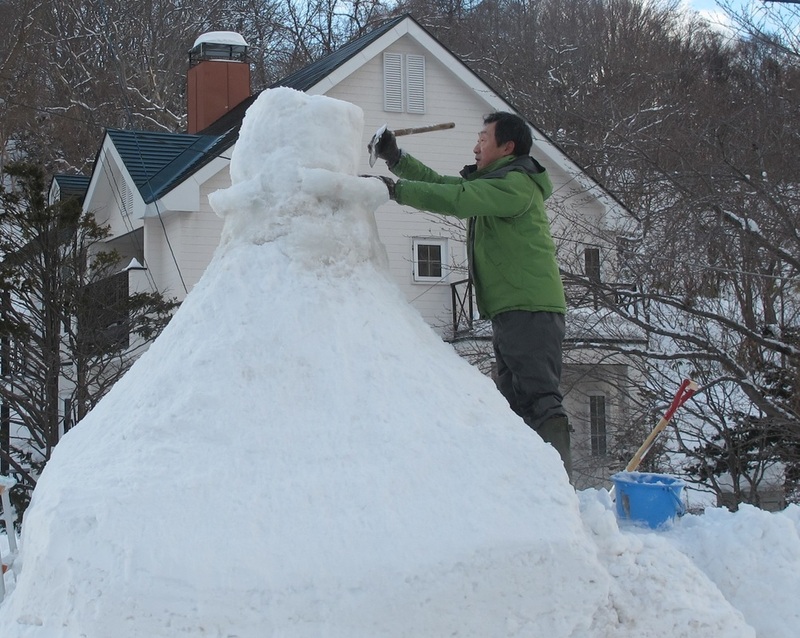 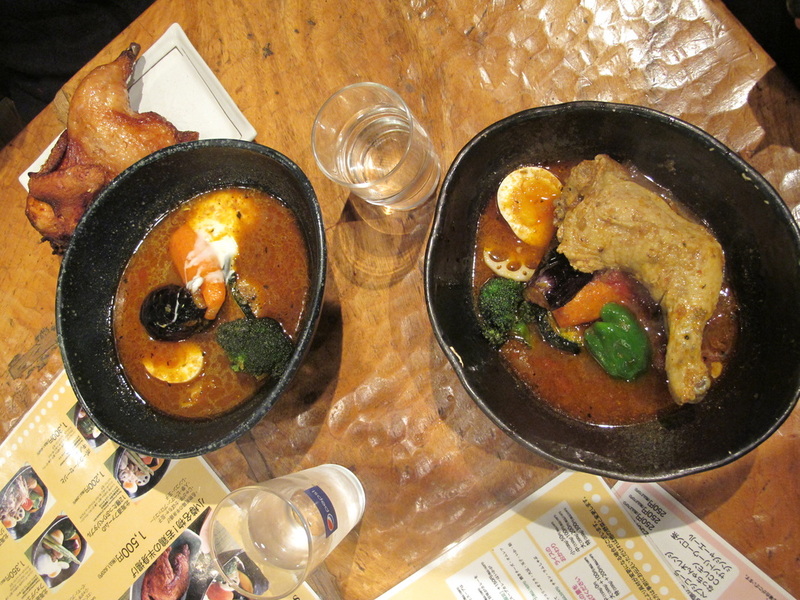 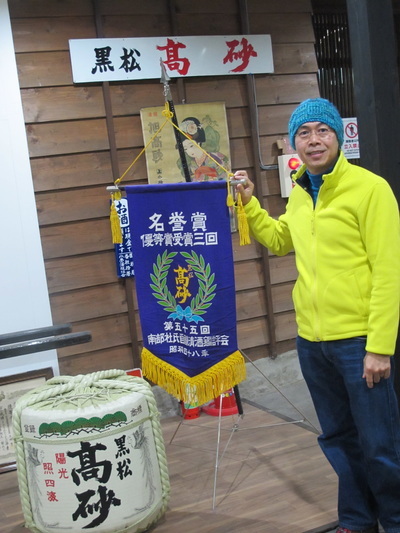 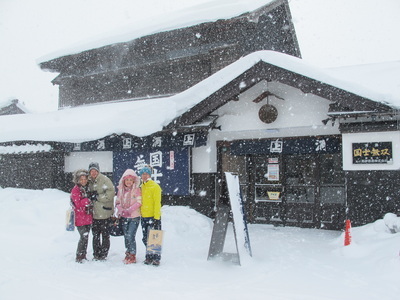 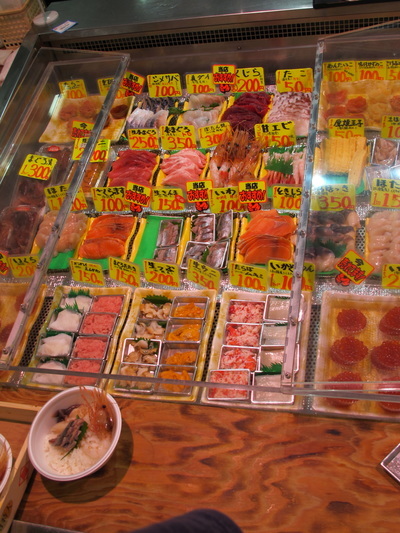 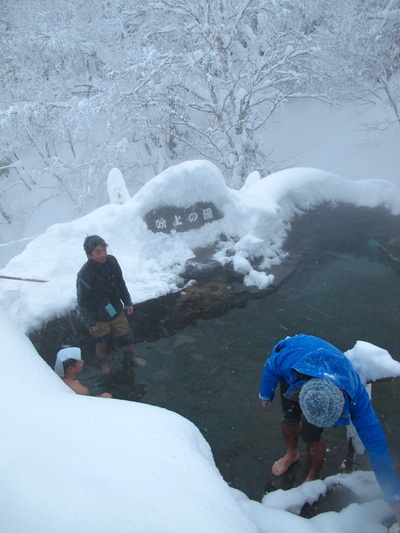 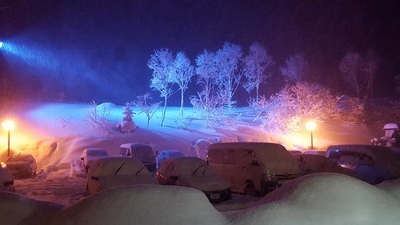 The tour included an overnight stay at Kamihoroso Onsen Hotel with 2 meals, guided backcountry snowshoeing, Fukiage 'wild' hot spring, Ningle Terrace artisan market and great local restaurants. 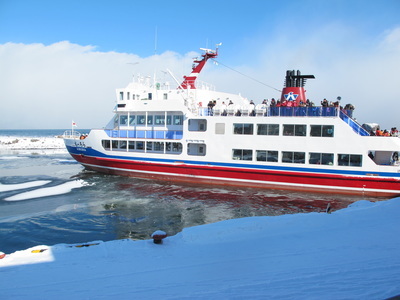 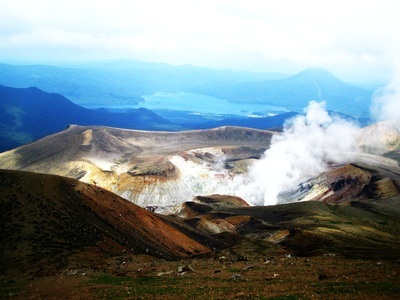 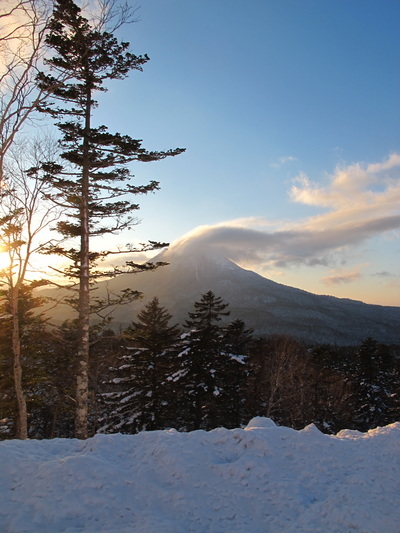 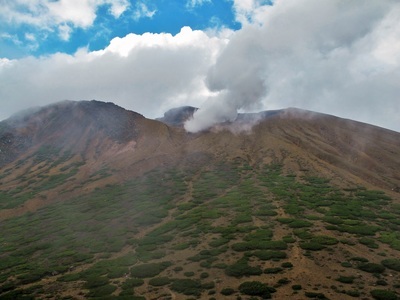 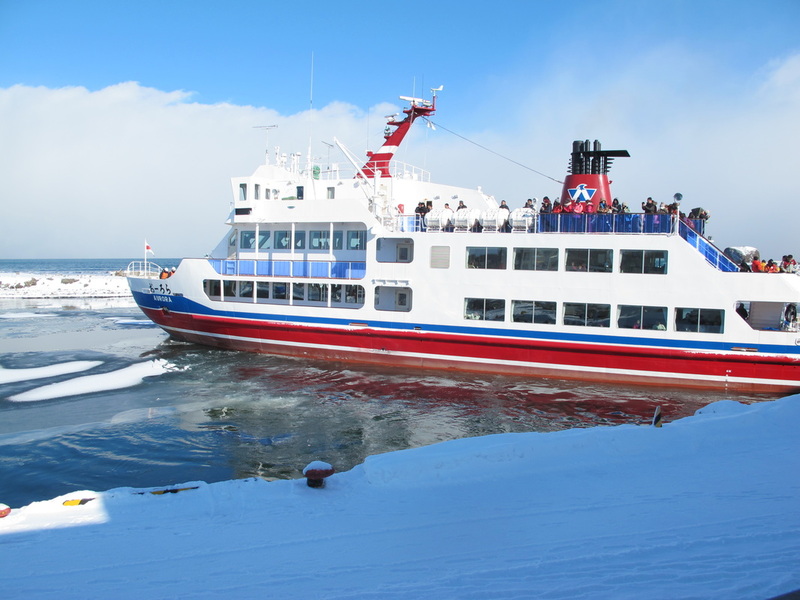 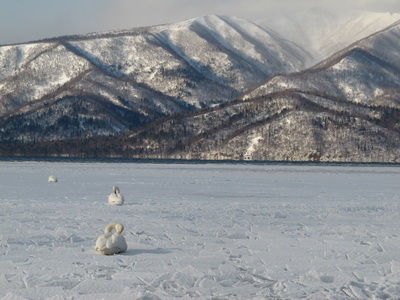 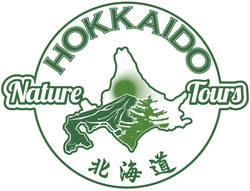 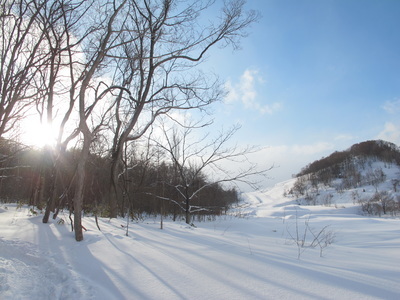 ​Come had a great adventure to eastern Hokkaido! 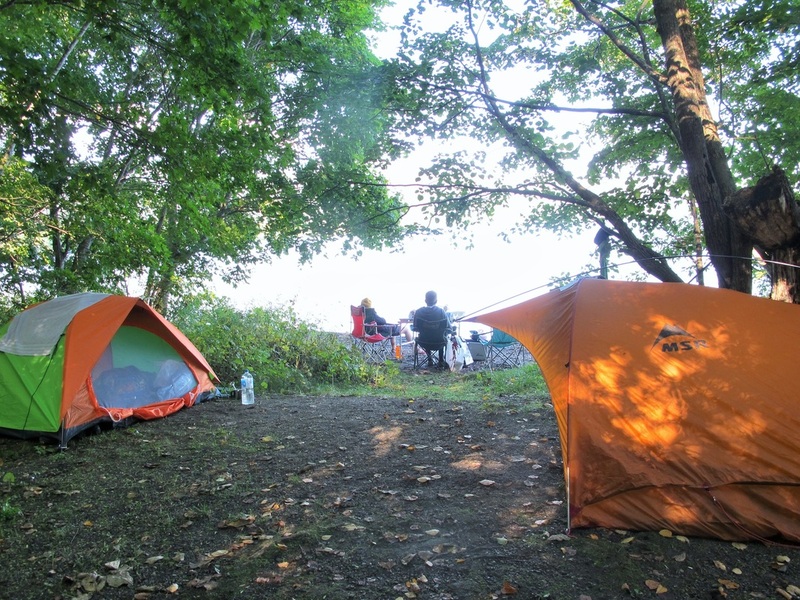 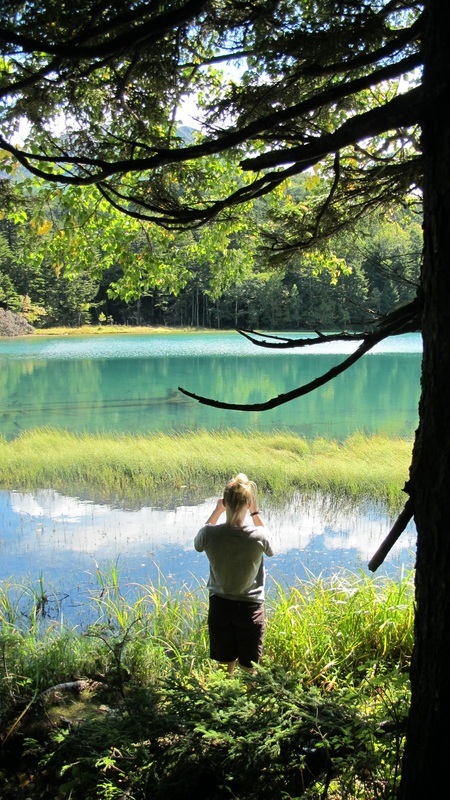 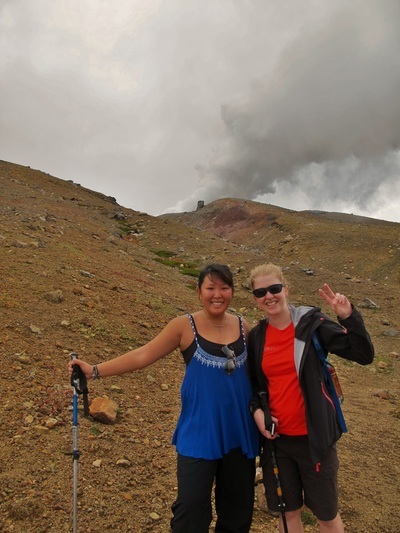 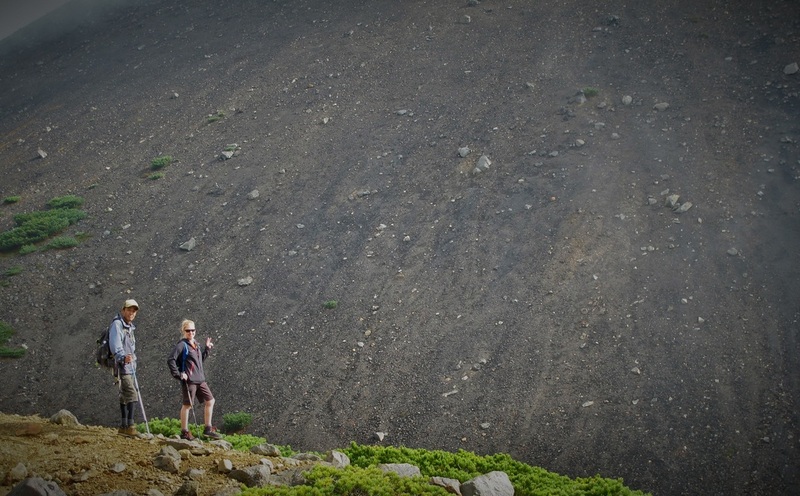 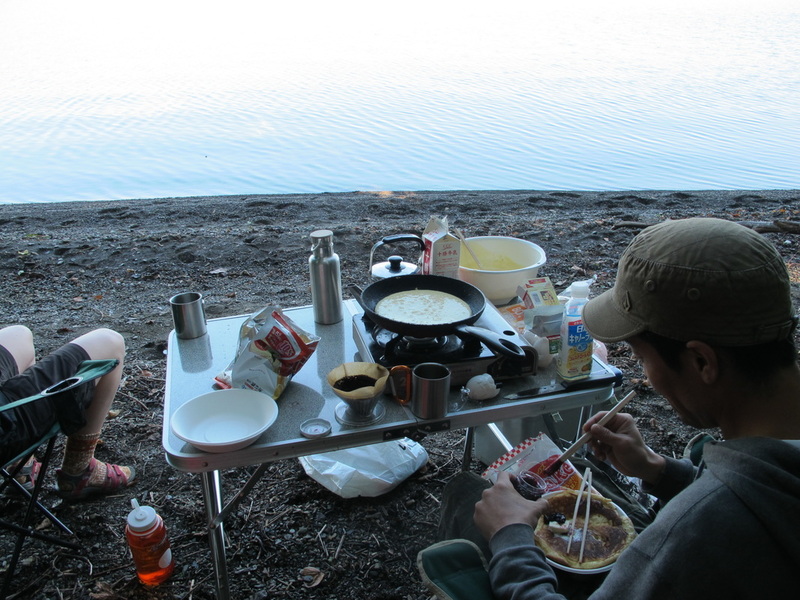 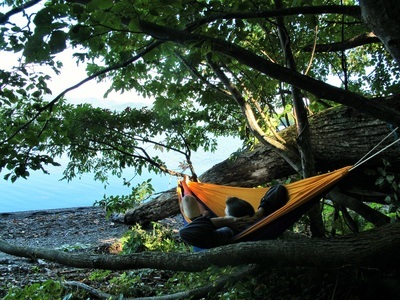 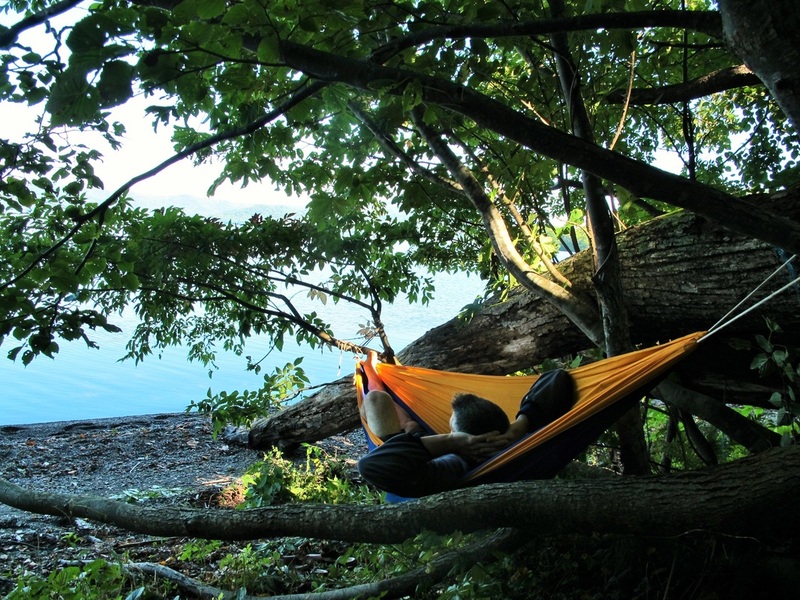 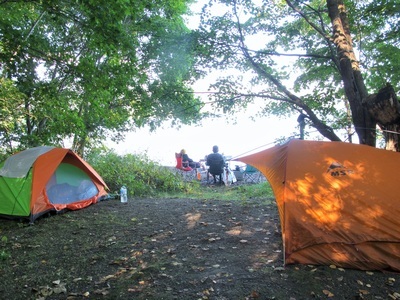 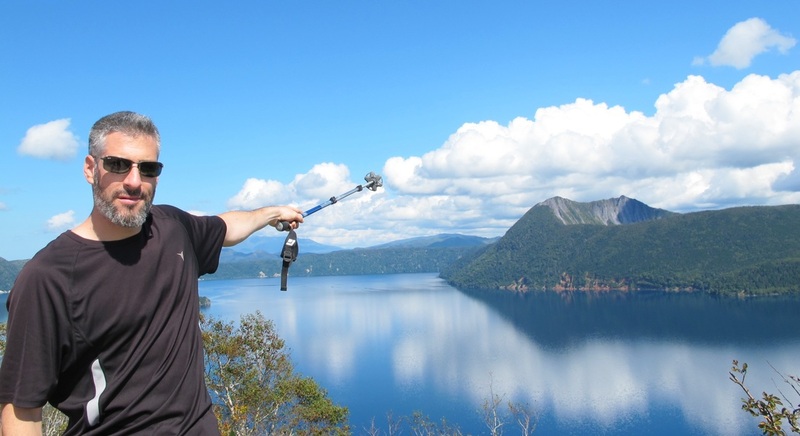 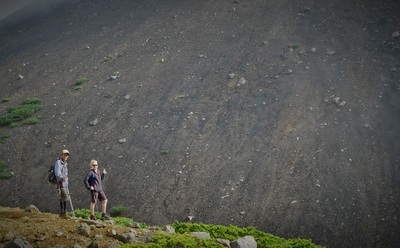 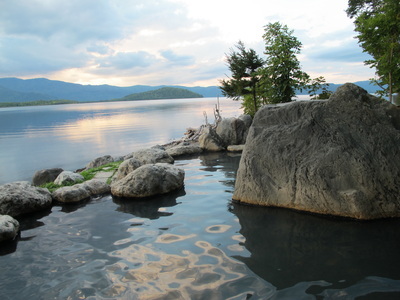 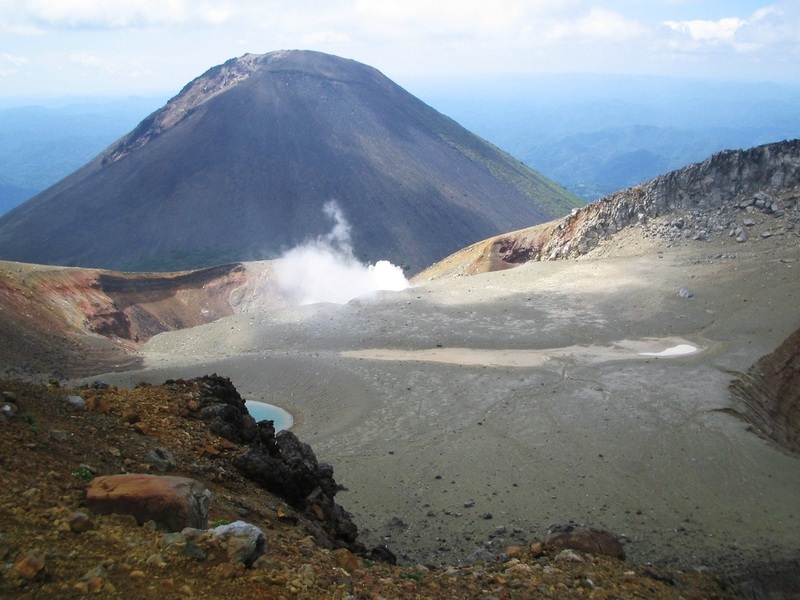 We camped by two gorgeous lakes, hiked an active volcano, bathed in resort & 'wild' hot springs, BBQed and more. 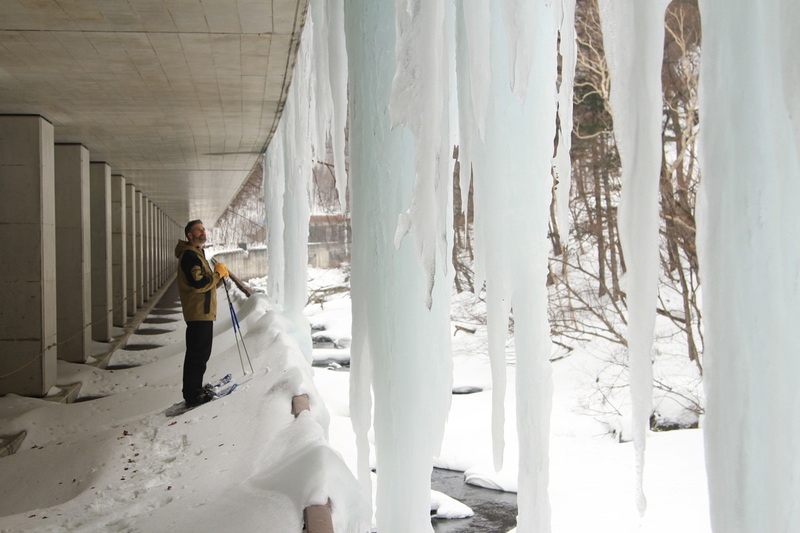 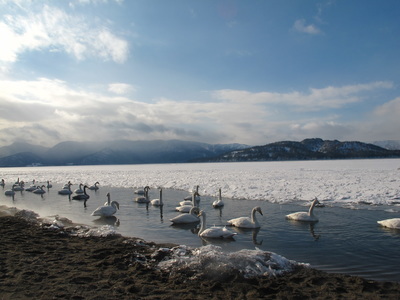 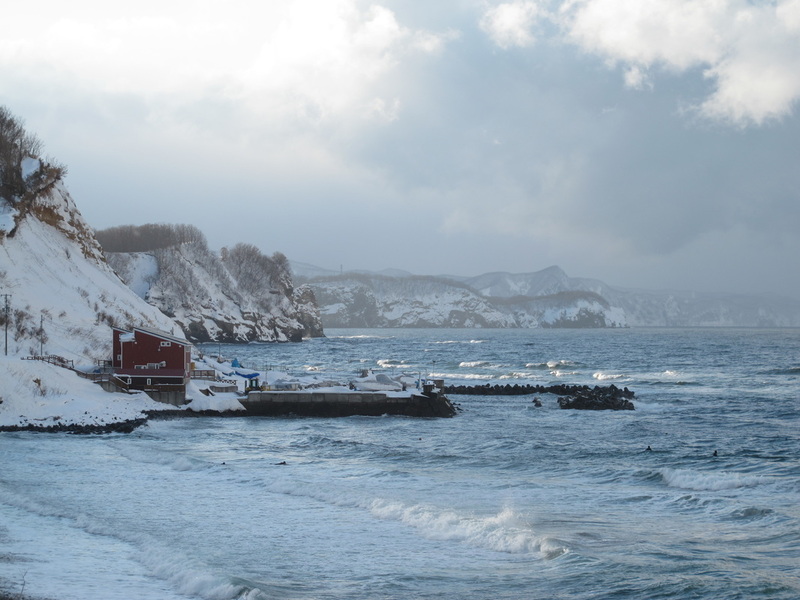 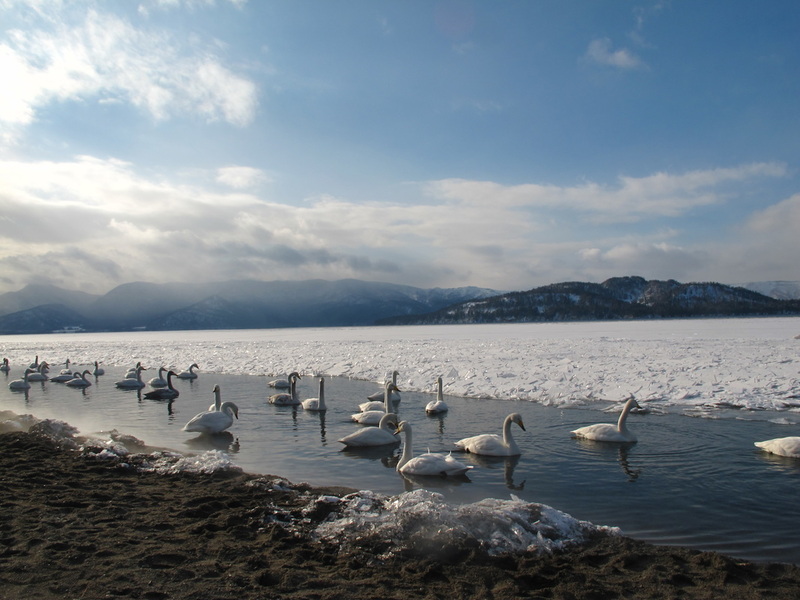 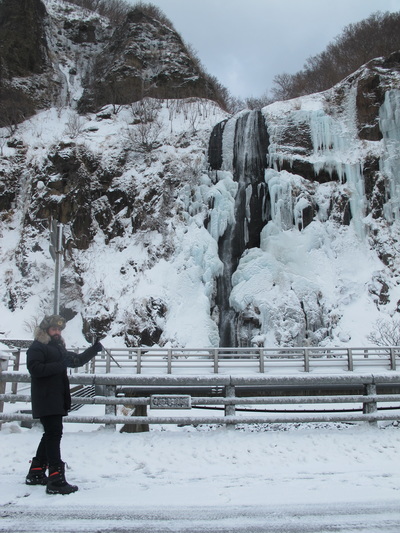 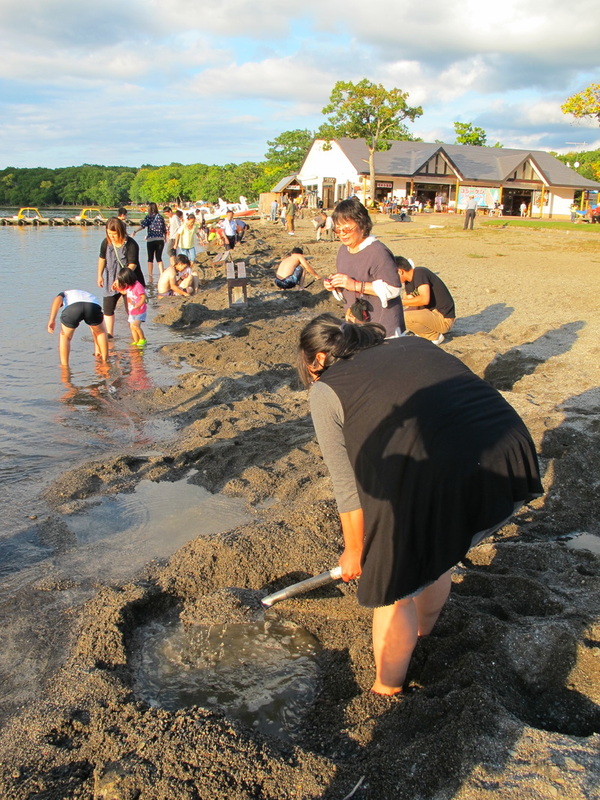 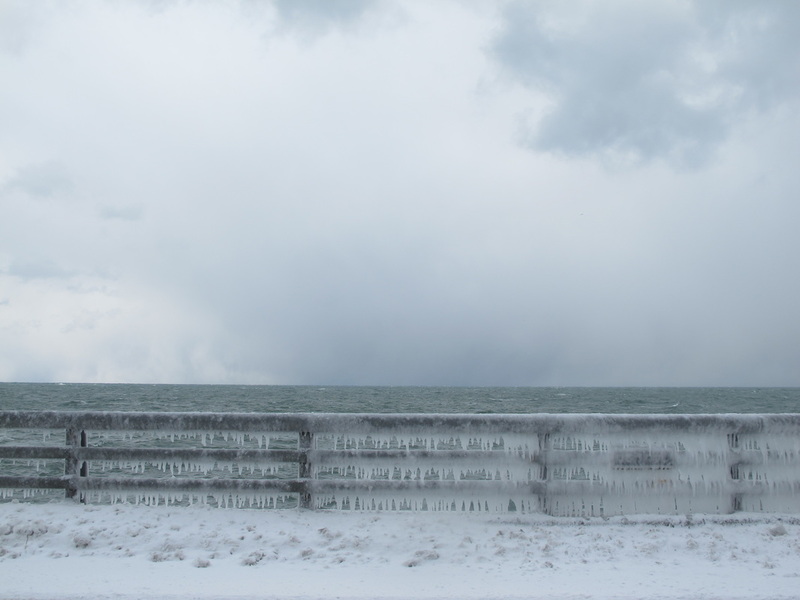 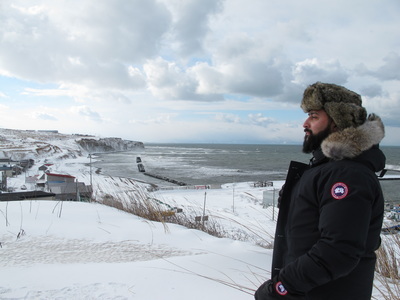 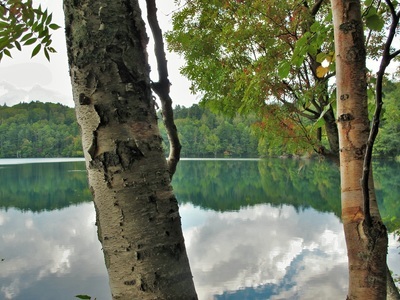 One of the best trips that will have you falling in love with eastern Hokkaido!